The visual contrast of architectural line with twining plant, the gardenly satisfactions of plants trimly tied and trained (or wantonly trailing), the sensous dangling of fruit or flower just within reach – but above all perharps, of the subtle interweaving of interior and exterior, the special feeling afforded only by structures like these of being both inside and outside at the time. The experience of walking, sitting beneath such open plant-covered structures is qualitatively different both from the experience of sitting beneath or among trees, and also from the sensation of being within a more solid structure or buildings. Inside a pergola or an arcade we are not removed from the sights and sounds and smells of the garden outside, the playful movement of light and shade, the touch of breeze, the passage of the clouds overhead – indeed we experience all these things with a sort of heightened consciousness, as if the framing device of the structure called our attention to what before was mere vacant air. Many exquisite ramblers were introduced in France around 1900. 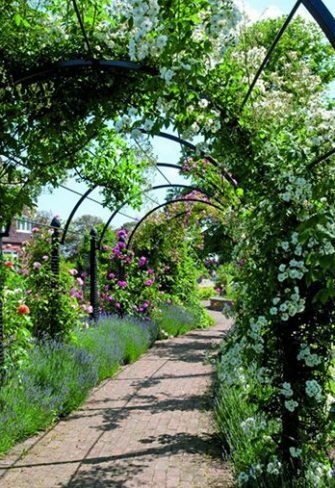 Like clematis hybrids – their frequent companion – they are extraordinarily versatile and colourful and can grow to cover garden structures such as pergolas, arbours and garden archways. With a profusion of blossoms throughout the summer, they can catch the eye from many angles around the garden. 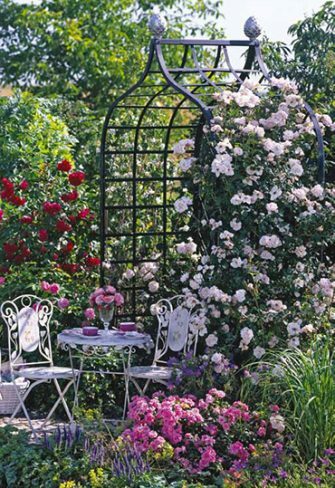 Garden archways and pergolas – passageways lush with tamed blooms – deliver us into that wonderful, magical world that in everyday life seems remote and distant. The third member of our trio, the arbour, is at once a place of refuge, a place of peace and quiet – and of blissful moments that you, too, can enjoy. 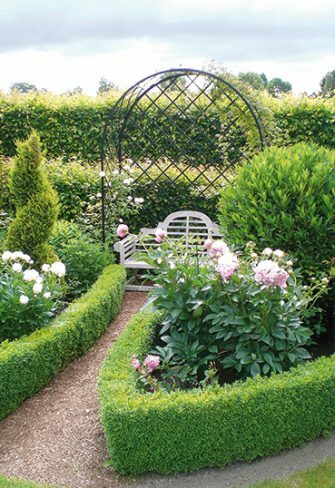 The seductive allure of our Romanesque-style ‘Villandry’ or Gothic-style ‘Victorian’ arbours is hard to resist. Our romantic ‘‘St. 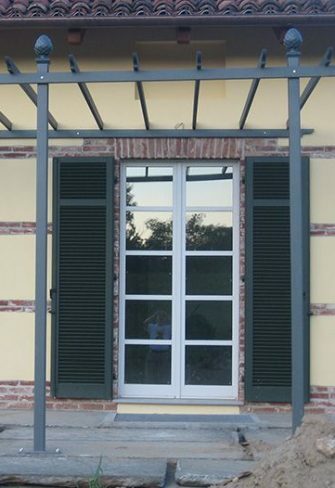 Albans’ garden archway and our classical ‘Piemont’ pergola will prove no less beguiling.